Come celebrate our anniversary with us, and help us to shape another year of organising with our network of retail, hospitality, and food service workers! We’d love to see you at our 1 year anniversary BBQ. This month marks the 1 year anniversary of the Retail Action Network. Our organisation has come a very long way over this past year. We’ve connected with so many workers and activists, and are now organising for big changes to the way workers are treated in the workplace. The Retail Action Network launched a monthly event series called “Working Class Wednesday”. We’ve had workers from a wide range of workplaces in Victoria, connecting and building relationships over food, drinks, and entertainment. We hosted the first ever MayWorks in Victoria: a 10 day series of events that celebrated workers and the arts in our community. We did research for, and supported the launch of VIPIRG’s “Part-time, poorly paid, unprotected” Report. This was after months of surveys and community dinners where we interviewed workers and collected stories of their experiences at the workplace. We successfully launched a public campaign to get wages back for a worker from Wild Coffee in downtown Victoria. After months of organising, we got their wages back that had been illegally withheld. We’ve connected with hundreds of workers in the service industry, and have raised the issue of workplace justice in Victoria. We’ve built meaningful relationships with organisations across the worker’s rights movement, and have connected workers in need with important services and opportunities to organise. 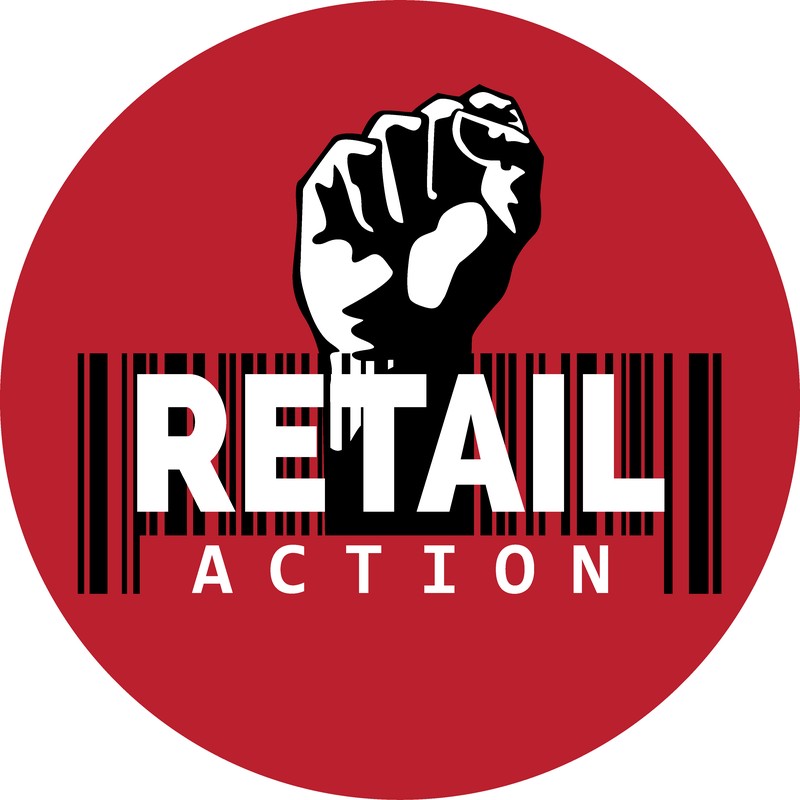 Perhaps most importantly, we’ve brought together an incredible vanguard of workers and activists that make up the organising committee of the Retail Action Network. We meet regularly, and continue to shape our future direction collectively. We have ongoing committees, and everyone plays a part in shaping all of the major roles of the organisation. A new campaign to fight for specific changes to workplace practices, and make very direct improvements to working conditions. Launching a Solidarity Centre: a drop in space for precarious workers in need of support, or for those wanting to organise. Hosting a new worker’s rights workshop at high schools and community centres. Targeting specific employers that exploit their staff and building upon our network to show solidarity with any worker in a dispute with their boss. The Retail Action Network is your organisation. What do you want to see changed for precarious workers? How can you help workers that are being exploited? Contact us to find get involved, we are looking for more organisers to help shape this movement. Come celebrate with us, and help us to shape another year of organising with our network of retail, hospitality, and food service workers! Please check out our 1 year anniversary BBQ. Thank you to everyone that we have organised with, and for everyone that has shown us an outpouring of support. We couldn’t have done this without you!